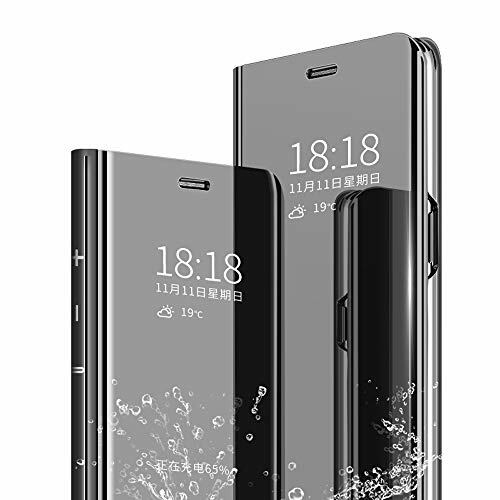 1.【Compatibility】--- Exclusively designed for Sony Xperia XZ3 6 inch smartphone Only. Precise cutouts enable full access to all features and controls: Camera, Fingerprint Sensor, Buttons, Ports, etc. Offering 360° full-body protection for Xperia XZ3. 2. 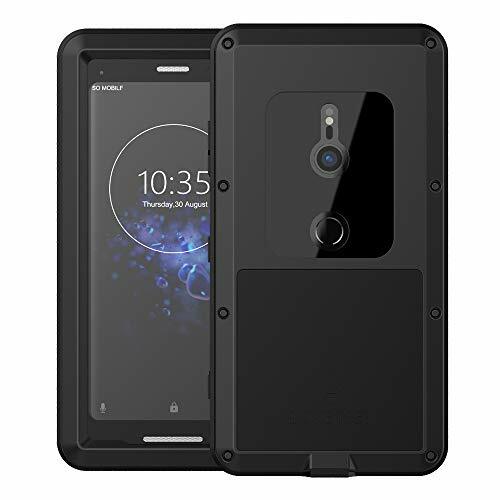 【Tough Armor Case】--- Made of tough Aluminum alloy, fixed by 8 screws and equipped with Screen Protector Glass, CRESEE metal case can protect Xperia XZ3 against damage caused by accidental fall or hit. Provide excellent protection for your smartphone while effectively dissipating heat. 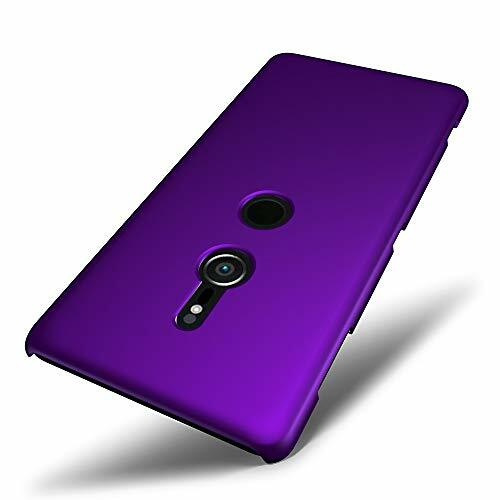 3.【Soft Silicone Inner Bumper】--- Soft silicone inner pad not only absorbs shock and impact, but also makes buttons easier to press and prevent your Xperia XZ3 from scratches. A heavy-duty mobile phone case that you can use with peace of mind. 4. 【Dust Proof】--- The dustproof cover for charging port protects the phone from dust. When you want to charge your XZ3, you only need to open the rubber flap cover and can still plug charger into your phone conveniently. 5. 【Package Content】--- Phone case with tempered glass, 4 spare screws, 2 screw drivers, 1 wrist strap, 1 cleaning cloth, 1 user manual. 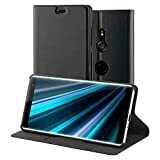 RoxFit Sony Xperia XZ3 - Slim Standing Book Case (Black). 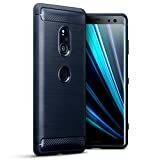 RoxFit Sony Xperia XZ3 - Slim Standing Book Case (Black). Made for Xperia Certified. [SAFETY & SECURITY] Brand new case for Sony Xperia XZ3 provides optimal security from everyday bumps, knocks, drops, chips, dirt, scratches and marks without adding bulk to your phone and ensures that your device remains protected, safe and secured at all times. 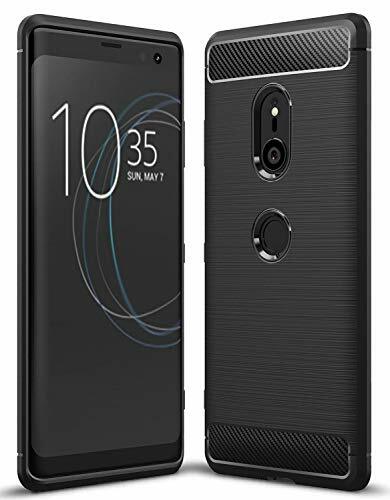 SLIM FIT LOW PROFILE DESIGN: Made from premium protective TPU Gel, carbon fibre design with brushed effect, this Sony Xperia XZ3 gel case provides bulk free protection whilst maintaining the original design aesthetic of your phone. Our new slim-fit low profile design is completely form-fitting and provides even more subtle but robust protection. DESIGNED FOR THE SONY XPERIA XZ3: This premium Sony Xperia XZ3 gel case is custom designed to fit the phone perfectly with precision cutouts for camera and ports. The screen is fully exposed and all buttons accessible. You can take photos, charge or listen through earphones without removing the phone from the case. ADD PROTECTION WITHOUT BULK: The Sony Xperia XZ3 cover delivers advanced protection against drops, scratches, dirt and dust, and features a raised lip around the screen to maintain space between the screen and surfaces when placed faced down. Feel assured that your phone is well protected and will keep its brand new condition for life. SUPER GRIP: Not only will the Sony Xperia XZ3 case protect your device in the event of a drop, but it also provides extra grip to make the phone more secure in the hand and prevent falls from slippery surfaces. 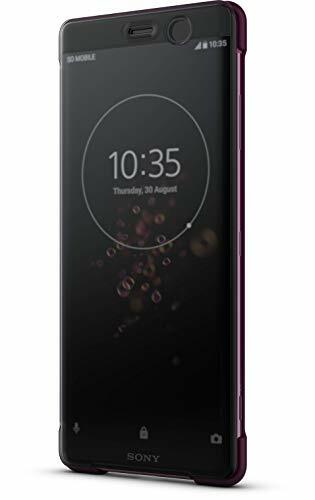 EASY FIT: The Sony Xperia XZ3 cover can be fitted in an instant and is easy to remove if required. 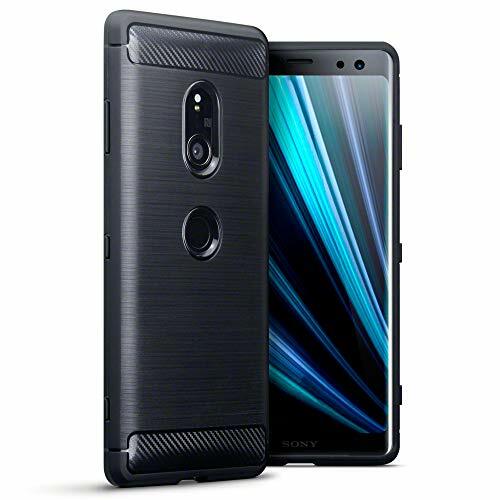 Crystal clear back PC panel with advanced 2X premium coating shows off the Xperia XZ3 with minimal bulk while durable ridged TPU bumper adds tactile grip and accentuates the rugged profile of the case for enhanced design and solid protection. 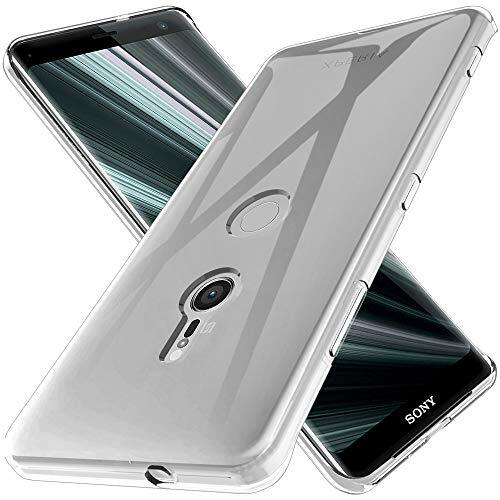 ADVANCED PROTECTION FOR OUTDOOR USE: The Sony Xperia XZ3 case has a unique design which incorporates a dual layer TPU inner with a tough hard polycarbonate outer shell. 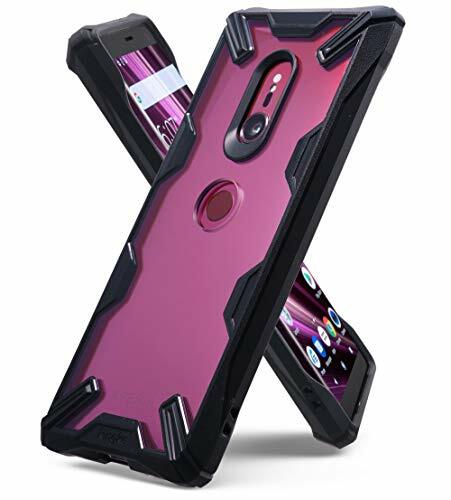 The result is a case that provides impact protection and shock dissapation for your phone in the roughest of conditions. Designed specifically for outdoor use it provides more protective mass than your average cover. Perfect for outdoor excursions, sports, or as an ideal all-round protection solution for holiday makers. DESIGNED FOR THE SONY XPERIA XZ3: This ultra protective Sony Xperia XZ3 impact case is custom designed to fit the phone like a glove. Precision cutouts for camera, ports, and buttons keep everything readily accessible. You can charge your phone without removing it from the case and listen to earphones with the case closed. 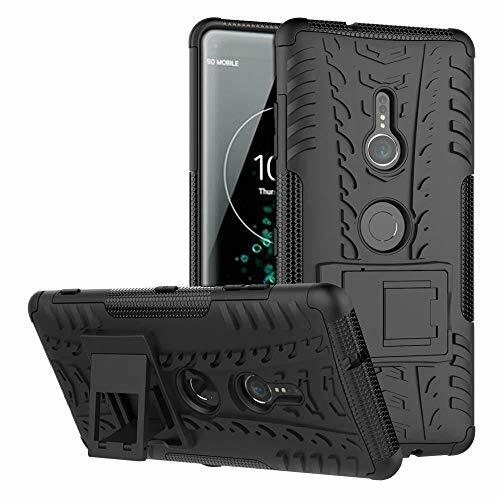 SUPER GRIP: The Sony Xperia XZ3 drop protection cover has a grippy patterned exterior hard shell that's designed to provide super grip in difficult conditions. It can be more securely held in the palm of the hand and helps prevents falls from slippery surfaces. HANDY BACK STAND: The Sony Xperia XZ3 cover features a handy built in hand backstand so you can put it down on any surface and engage in hands free use. Made of Super Quality Thermoplastic material with Dual Layer Armoured Protection for your Sony Xperia XZ3. 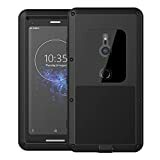 You can use all its features while your mobile is in the case as these cases are made to measure for your Sony Xperia XZ3, so won't interfere in its features e.g. Camera, Charging Port, Volume buttons, Speakers etc. These cases are designed for an active lifestyle and won't weigh you down as they are compact and sleek. Tough round corners give robust protection to your Sony Xperia XZ3. The corners are slightly raised to provide added protection to your LCD screen. Other colours available. 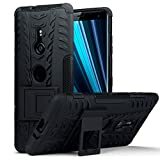 Best Case For Sony Xperia XZ3. 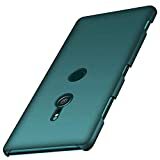 Sony Xperia XZ3 Cover. 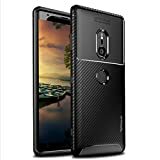 Anccer smoothly shield skin shockproof hard case is specially designed for Sony Xperia XZ3. Advanced PC bear droping, bumping and shaking, Which ensures your Sony Xperia XZ3 keep always the same as new. 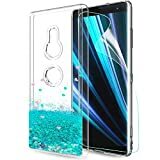 Luxurious look which make your phone unique: Smoothly skin shield design with luxury color,make your Sony Xperia XZ3 more shiny. ❤[Finger-Smudges]-Free Back Panel Keeps your device in a fresh look, without annoying finger smudges. 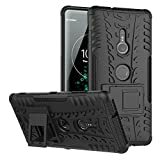 ❤[Perfect Match]-Sony Xperia XZ3 Case,This Flip Case Compatible with Sony Xperia XZ3,Discover this design that blends seamlessly with your Sony Xperia XZ3. ❤[Stable kickstand]-let you watch videos or play games anytime anywhere (even during bumpy car rides! )With ultra slim design the case supports WIRELESS CHARGING. 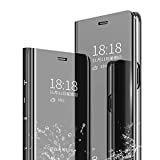 ❤[Unique Design]-Perspective mirror design with no any other decorations, which ultra slim and lightweight, makes your phone looks luxury and high-end. Without magnetic clousure, it's easy to open and looks simple and stylish. 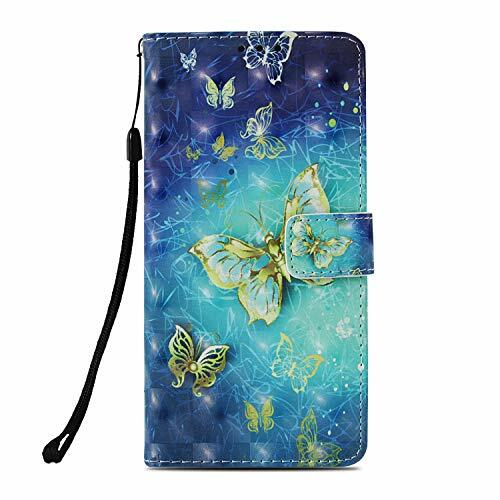 ❤[Precise cut-out]-With ultra slim profile the case is so light and fits your phone perfectly. Easy access to all the ports, controls and buttons without removing the case. The case does not impede the use of any of the function that you don't need to remove it when using your phone. Compatible Model: Sony Xperia XZ3. NOT fit for other phone models. 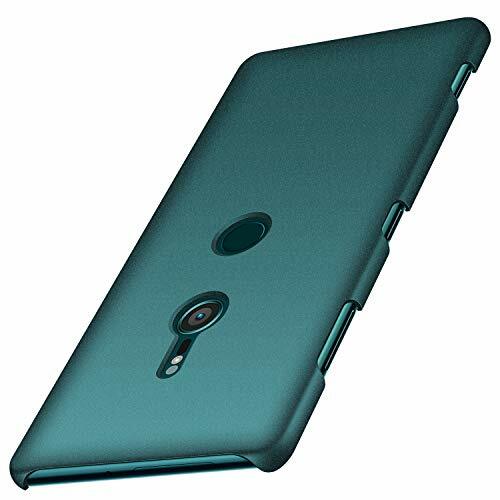 All around protection for your Sony Xperia XZ3 with a Slim Design. Advanced Shock Absorption Technology: Air Cushioned 4 corners. Multiple cash and card slots in this Sony Xperia XZ3 cover allow you to carry your ID, credit cards, debit cards, and money with you at all times. 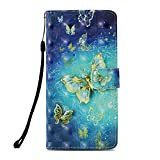 Fit snugly personalised design phone case cover for original Sony Xperia XZ3 . 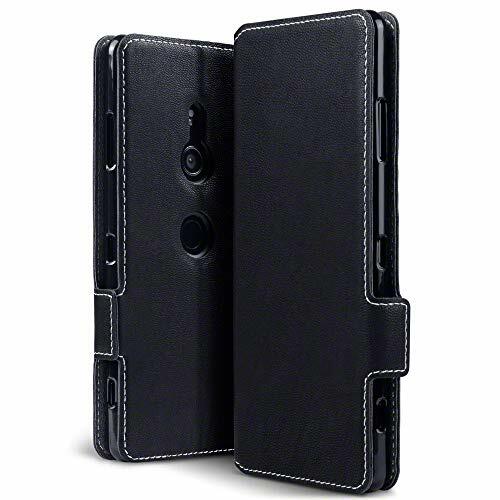 DESIGNED FOR THE SONY XPERIA XZ3: This very well made Sony Xperia XZ3 case is custom designed to fit the phone like a glove. Precision cutouts for camera, ports, and buttons keep everything readily accessible. You can charge your phone without removing it from the case and listen to earphones with the case closed. PREMIUM QUALITY AND STYLE: The Sony Xperia XZ3 Leather Case combines a sleek slim fit design with quality that is built to last. Made from premium synthetic leather with secure and straight stitching you will love how it feels in the hand or pocket and it will retain its appearance after lots of wear. 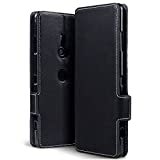 CARD SLOTS AND VIEWING STAND: The Sony Xperia XZ3 cover is very functional and includes wallet-like features such as slots to hold cards. The multi-angle hands-free viewing stand allows your device to stand up independently in landscape orientation - great for video calls, or for viewing media. SECURE MAGNETIC CLOSURE: A good strong magnetic clasp opens and closes securely, and it is simple, stylish and looks upscale but it doesn't get in the way when receiving a call or viewing the screen. OFFERS GREAT PROTECTION TO THE PHONE: This Sony Xperia XZ3 Wallet does a great job of protecting the phone. Get the benefit of a slim design with impact protection. 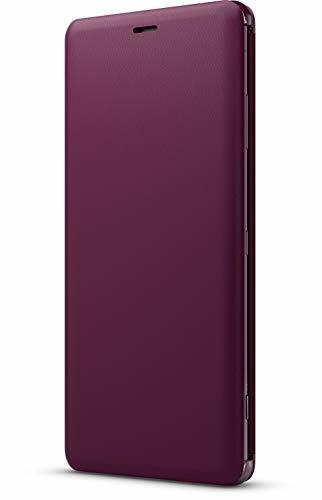 This cover keeps the phone firmly secured in a snug fitting TPU holding bracket ensuring no risk of popping out if dropped.